The REA team have created a guide which gives you clear support on what is involved when you are looking to rent your property. The guide gives you clear indication on how to tackle each element of the renting process. There are a number of significant reasons why using a letting agent is better suited than attempting to rent it yourself. Notably, it helps you to create professional distance between yourself and your tenant. Letting agents have access to a huge pool of potential tenants and are well versed when it comes to marketing a property. It should therefore be much easier to find the right tenant to live in your rental home with the help of an agent. It also takes the stress out of letting a property as the managing agent will chase rents, assist with deposit disputes, manage any maintenance issues, carry out regular property visits and complete the time-consuming and legally required paperwork. The expert lettings team at REA will be on hand to show people around your property and answer any questions they may have. There is no need for you to be present at viewings. As long as you have given us a set of keys, we will complete viewings at times to suit any current tenants, and provide you with feedback afterwards. The REA Lettings team will conduct a full evaluation of your property, its decorative condition and how it compares to other properties as well as considering local market conditions before advising you on its monthly rental value. We will advise on how to maximise your rent so that you are able to make the most of your property, as we know your most valuable asset needs to work for you. It is a legal requirement for all landlords to place tenant deposits in a government-backed Tenancy Deposit Protection Scheme. If you opt to let your property through REA, we will ensure your tenants’ deposits are lodged in the correct manner within the required timeframes. There are no extra costs or hidden fees, our full Marketing Masterclass for Landlords (see REA Marketing section) is included within our commission fee. There are plenty of things you can do to improve the likelihood of your rental property being snapped up by a tenant. Of course, the asking price will be a key factor, but it can also pay to focus on improving the property’s interior, kerb appeal and if applicable it’s garden. 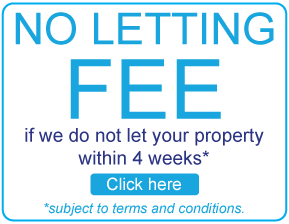 The REA Lettings team prides itself on its expertise and experience in presentation of properties and we will gladly assist you on this. Yes. If your property currently has a homeowner mortgage outstanding on it, you must inform your lender that you wish to let it out. It depends entirely on what and where your property is as to whether you should let it furnished or unfurnished as the market will determine what is preferred. The REA Lettings team will be happy to assist in this and offer you our expert advice. If we are instructed to manage your property, we will take full responsibility for its upkeep all the while we are acting as your managing agent. The REA maintenance team ensure that any issues are resolved alleviating any stress or pressure from you. If you have instructed REA on either a full management or rent collection service, we will chase all late and unpaid rents on your behalf and we are proud of the low rate of arrears experienced by our landlords. You will have to pay tax on any profit made from your rented property. You can deduct your day-to-day running expenses (including any agents’ fees) before preparing your tax return, so it is important to store your financial records securely. It is recommended that you use a qualified accountant to assist with your tax returns, particularly if you have more than one property.